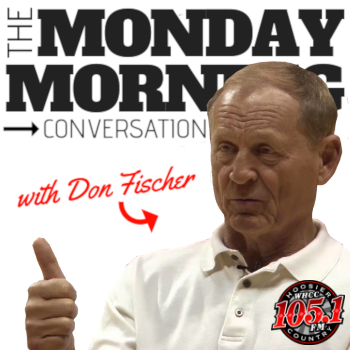 Every Monday morning, Rick Evans sits down with the voice of Indiana basketball himself, Don Fischer, to chat about all things sports. We've got football, we've got basketball, and we've got the conversation you want to hear. On a chilly December morning (IU Basketball weather! ), Rick and Don speculate on the status of injured players, and discuss an ugly loss to Duke. Don has survived November! He and Rick reflect on the football season and look ahead to the basketball excitement around the corner. Don and Rick discuss some promising wins for many Hoosier teams this week. The IU basketball season is underway and listen in as Don and Rick enthuse about their schedules starting to get busy. It's a good time to be a Hoosier fan! After a close Hoosier loss with some promising play, Rick and Don share their hopes for the future of the season.